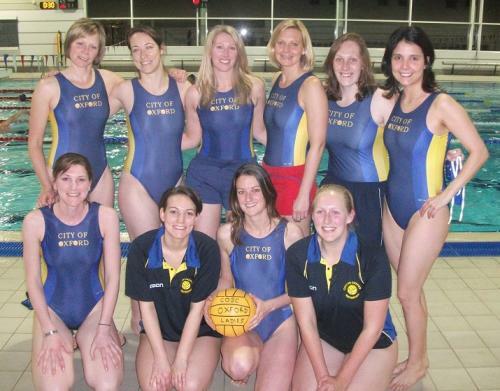 Oxford Waterpolo Club is an established club in Oxford. 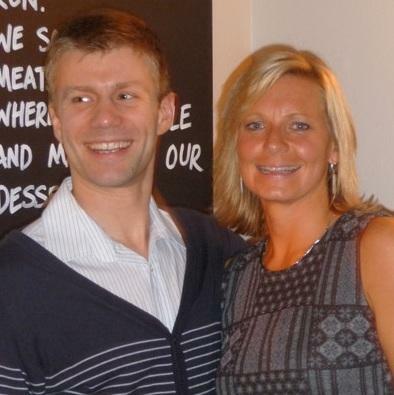 The club has a senior mens and senior ladies team and has weekly training sessions at Radley College just south of Oxford. 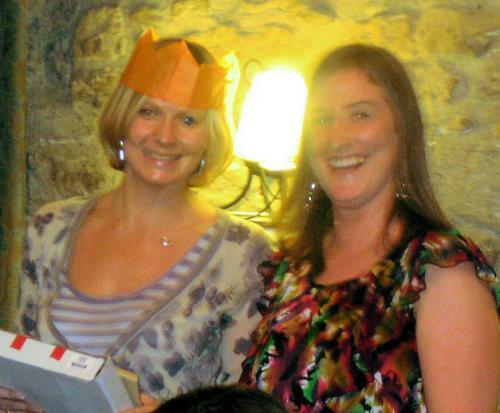 Our regular training slot is Mondays 8.30 pm to 10.30 pm. 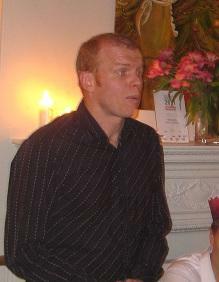 On match nights, games take place in the first hour and then training for the other side 9.30-10.30 pm. Currently in the summer months, extra training session for the guys Thursday nights at the Banbury outdoor 50m pool with Warwick polo. 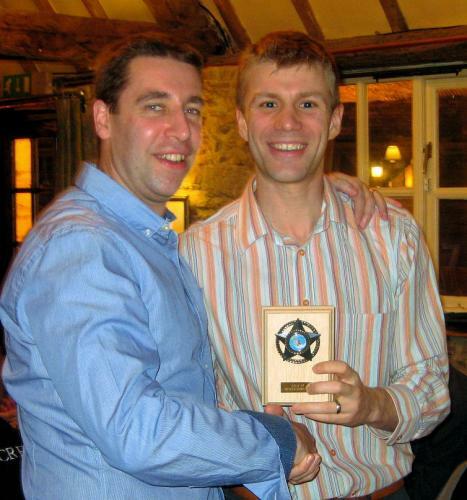 The mens team plays in Division 2 of the Midlands League and also participates in the Southern Counties league. 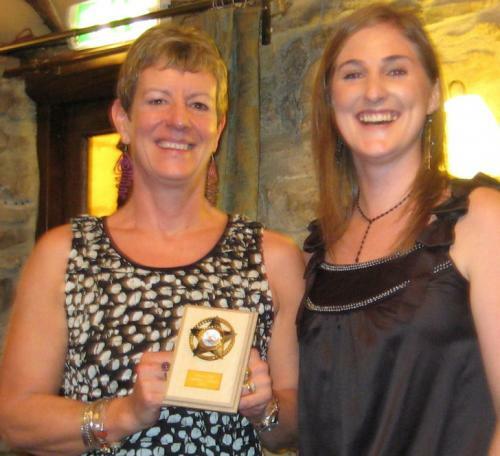 The ladies team has been playing in the the London League since 2009. 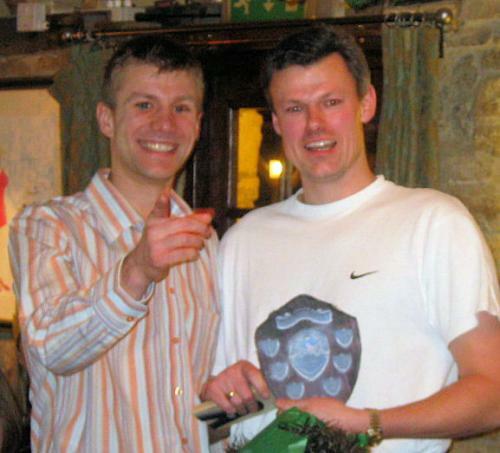 Both sides take part in friendly matches, tournaments and the annual Town vs Gown match vs Oxford University. 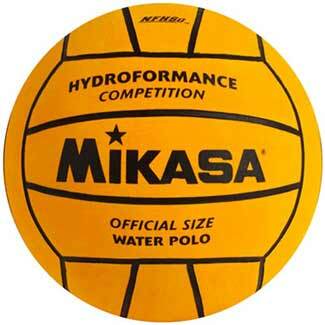 See Club Details page for joining Oxford Water polo or arranging matches. 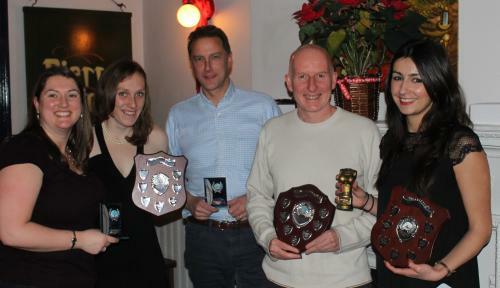 L-R: Ash Keen, Player of the Year; Elise Reid, Captain's Award; Reg Koster, Captain's Award; Katie Salter, Player of the Year; Alberto Tallarigo, Player's Player of the Year. 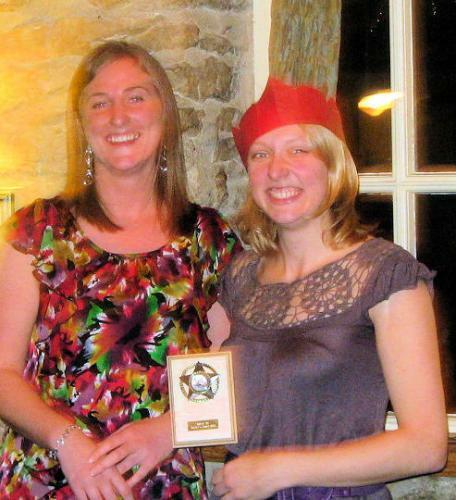 Missing from photo Weiyi Tan Ladies Player's Player of the Year. 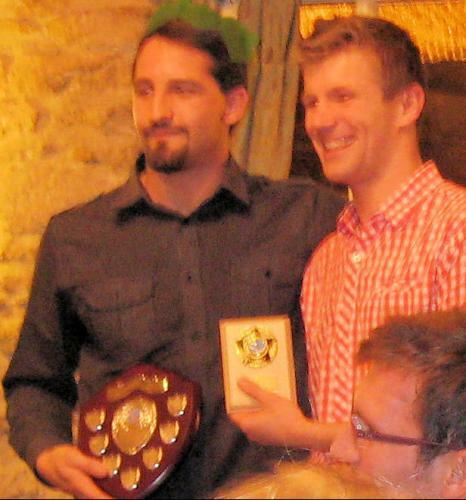 2017 Award Winners (L to R): Alberto Tallarigo (Player), David Golley (T), Colin McNamara (Cpt Award), Nora Braak (T), Sam Wells (Player's Player), Kate Richards (Cpt Award), Jess Jackson (Player's Player), Ceri Williams (Player). 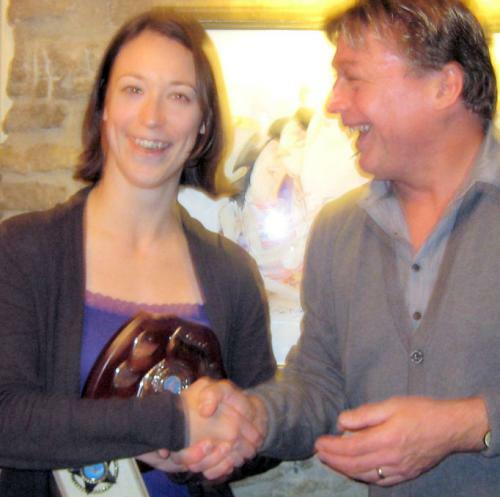 Oxford Waterpolo 2016 Awards: L to R Kate Richards (Player's Player); Nora Braak (Captain's Award); Colin McNamara Captain's Award); David Golley (Player's Player). 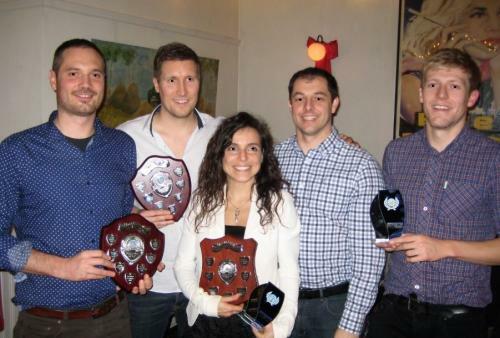 Award Winners 2015: L to R - Simone Lombardini (Player of Year), Ashley Keen (Players Player); Paola Bisicchia (Player of Year); David Golley (Special Trophy); Ed Wibberley (Captain's Award). 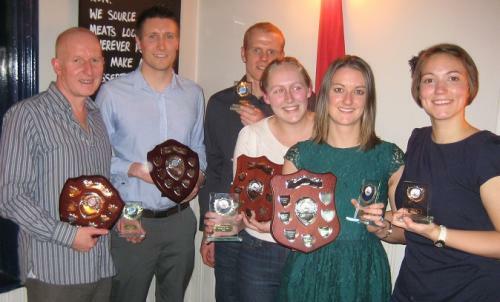 Awards for 2014: L-R Catherine Routledge (Captain's Award); Ceri Williams (Player's Player); Jeff Karoly (Captain's Award); John Cardy (Player's Player); Alicia Perez (Player of 2014). 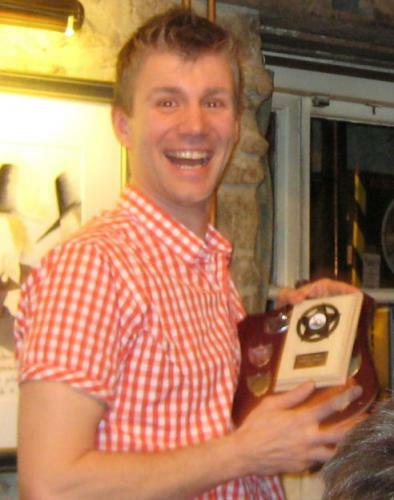 Missing - Brennan Nicholls (Player of 2014). 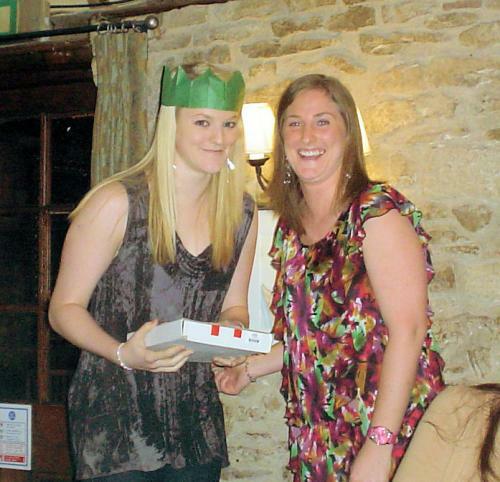 but not before she made the team walk the plank for her! 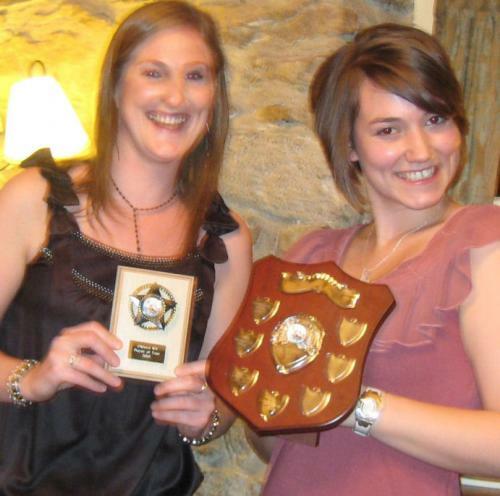 Awards 2012 L-R John Cardy Player's Player of the Year, Ashley Keen Player of the Year, John Buckley Captain's Award, Louise Fuller Player of the Year, Jo Ibbotson Player's Player of the Year, Laura Highton Captain's Award. 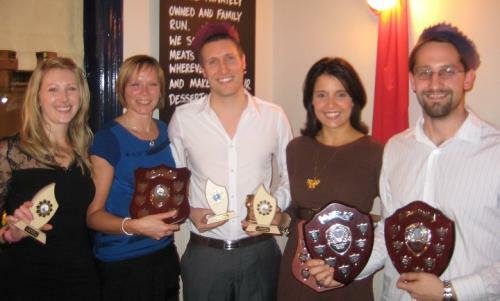 Club Awards 2011: L to R: Captain's Award Helen Cook; Player's Player Michaela Smith; Captain's Award Ashley Keen; Player of the Year Gabriela Porter; Player and Player's Player of the Year Adam Novak. 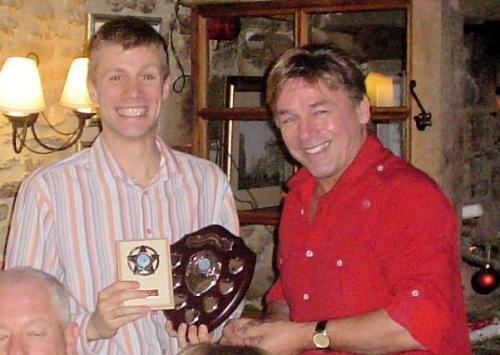 Club Chairman John Buckley opens the Annual 2011 awards night. 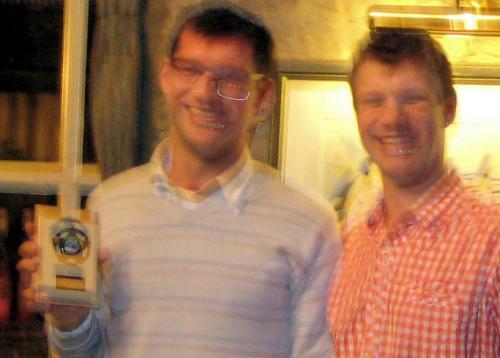 Oxford Men's 40+ team 2nd in tournament at Basingstoke while A team beat Warwick in KO Cup at Warwick. Basketball Equipment to polish your ball skills.